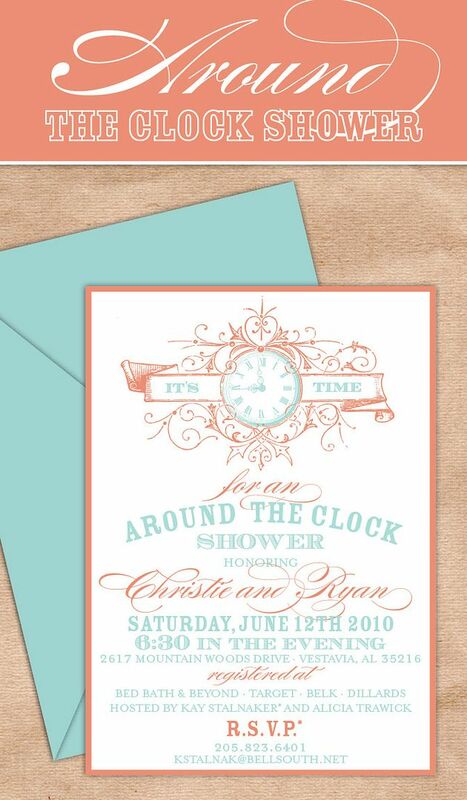 I designed this invitation for my cousin Christie and her hubby-to-be Ryan. My Aunt and mother are throwing a fabulous Around the Clock shower for her in a few weeks, and needed just the right invite for a great night of celebrating the happy couple and showering them with gifts they'll need for their home. Best of luck to Christie and Ryan!